We understand trampolines are fun but big kids and toddlers don’t always mix. 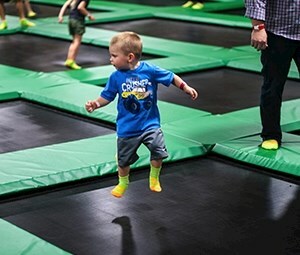 ROCKIN’ TOTS offers a dedicated time when parents can have fun with their smaller children (6 & under) while socializing with their friends in a comfortable, low-key, air conditioned environment. This is a great parent and child bonding experience. You’ll love it.